Hotel Golden Tulip previously The Grand Basant Conveniently located on the outskirts of the holy city of Haridwar in the Shivalik Hills of Himalayan Belt. 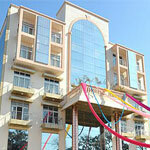 The Grand Basant, is the ideal place for leisure, recreation and business. 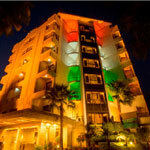 The hotel is just 15 minutes from the Haridwar Railway Station, and about 40 minutes away from the Jolly Grant Airport. National highways and state highways connect major cities. 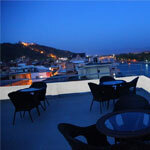 Godwin Hotel, Haridwar luxury hotels in India. 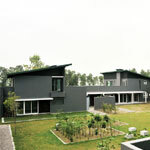 It is located at such a place that you can reach Har ki Paudi, Haridwar or Rishikesh by 5 minutes drive. 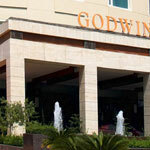 Godwin is located at an equal distance between Haridwar and Rishikesh. 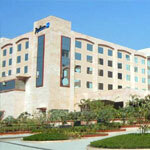 Hotel "Park GrandDelhi-Haridwar Bypass Road,NH-58, Kankhal, Haridwar-249408, Uttarakhand, INDIA. 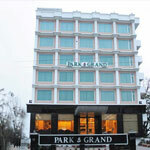 In the heart of Haridwar, on National Highway No.58, Hotel "Park Grand" rises six storeys high. Centrally Air Conditioned hotel with exquisite cuisine and warmth of hospitality has earned a distinctive position amongst the hotels in Haridwar. 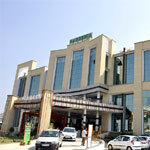 Gardenia Hotel Spa and Resorts is 4 star property located Sidcul Industrial Area, Sector-11 in Haridwar. Regenta Orko's Haridwar Conveniently located on the main Haridwar-Rishikesh highway, the railway station and near to the religious sites of Chandi Devi and Har-Ki-Pauri temples.